For photographers and photo shops, the right bill is needed to make their business run as usual and to have the target income be attained. 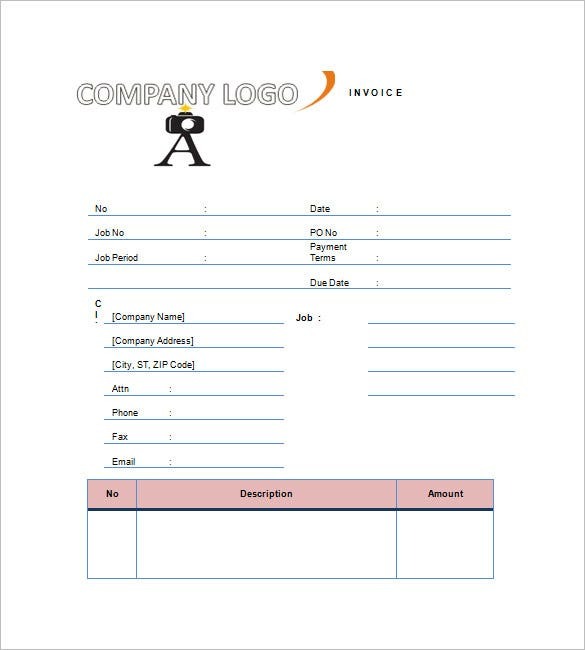 To make their transactions be recorded, there is a lot of selection online at graphic design invoice template which can make your task simple in making an invoice. The internet has a lot of premium ideas you can choose for your invoice samples which is ideal to be created in Word or Excel program. 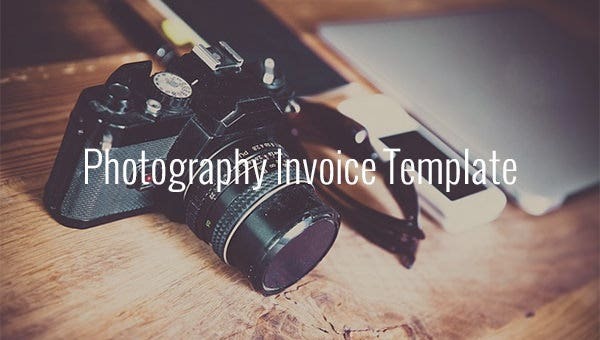 Make a customized invoice which reflects your profession and your creative intellect with the Photography Invoice Template. Make alterations to suit your needs and let your invoice make your professional impression. 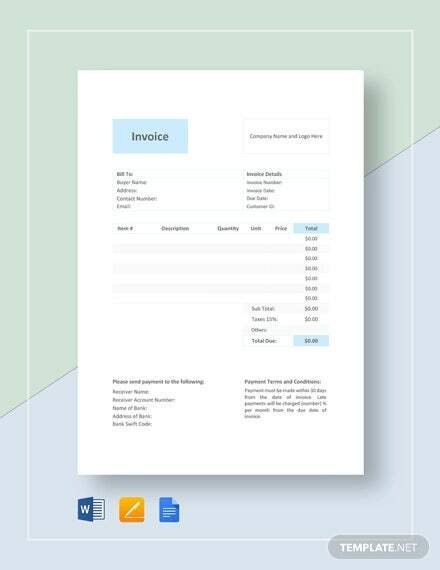 If you need a guide on creating a freelance photography invoice, this pre-structured template here could be the guide for you. It contains every parameter needed to create a proper photography invoice including the legal jargons. 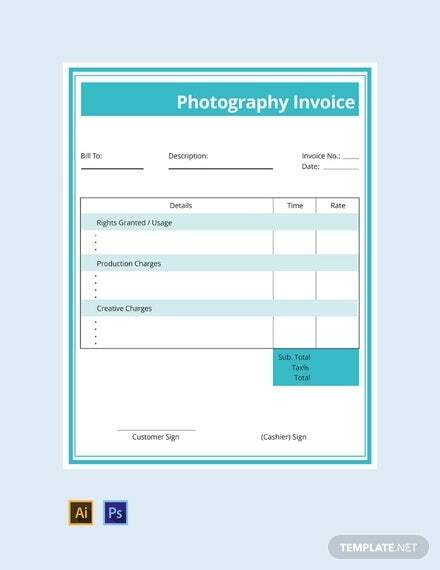 hallmark.edu | The invoice begins with the name and address of the photographer. 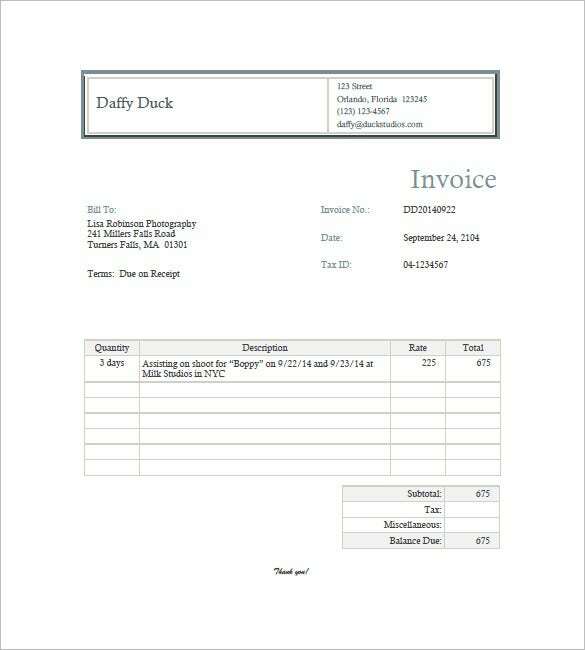 It then includes the details of the customer, invoice details- followed by the description of the job, quantity & rate. 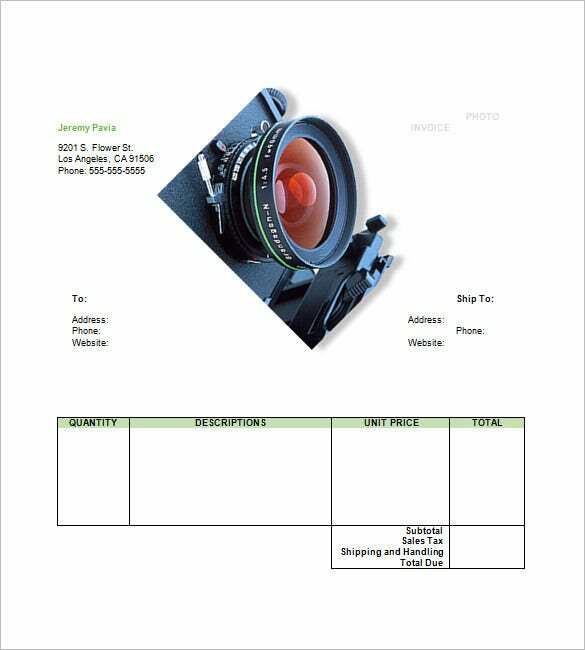 This photography invoice template has your customer’s name and address on the left while your details would be on the right. Then, you get a full table on the description of work while the following table states the quantity & rate. 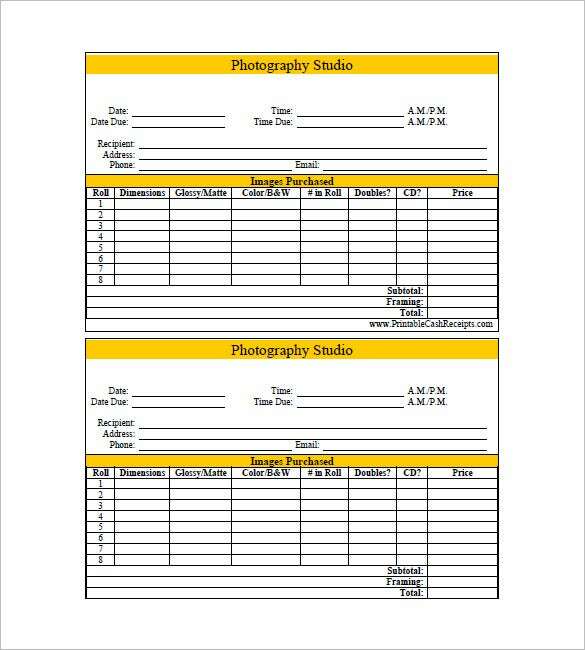 This wedding photography invoice template begins with the logo of your company and then it proceeds to state brief official details of the job- followed by details on your company and then finally the job description. 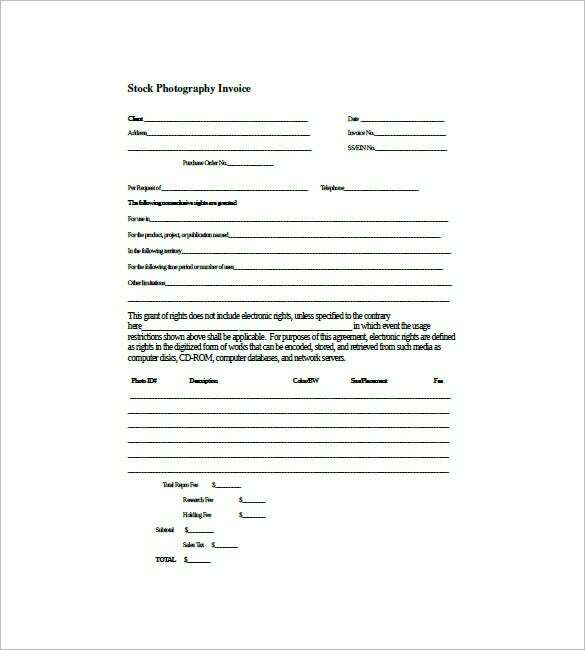 You are getting 2 sets of event photography invoice samples here. Both of them start with the details of the photography studio and then go on to elaborate on the images purchased. 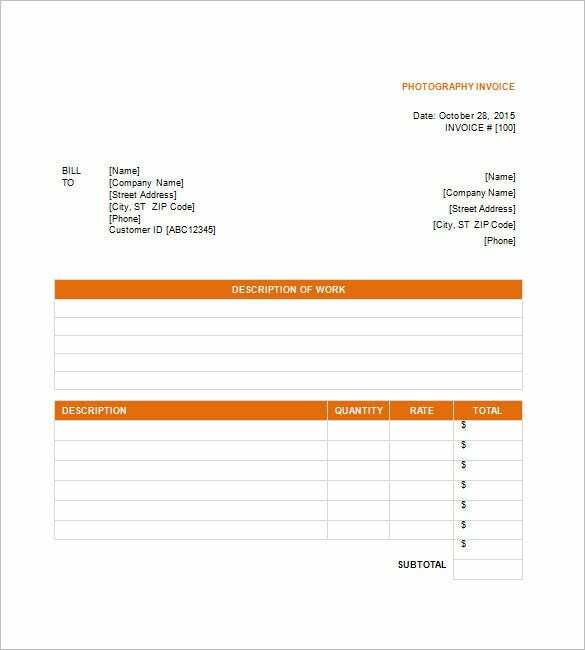 You can download the selected invoice template to make it for your business usage; the samples can be changed as per choice that can contain all the list of payments that their customers must settle with the details of the photo shop or a personal photographer. If you have any DMCA issues on this post, please contact us!